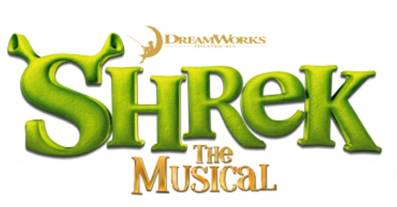 Glasgow is set to go wild for Shrek, Donkey, Princess Fiona and all the favourites as Shrek the Musical brings the swamp to Glasgow from 29th April to 17th May 2015. Direct from the West End where over a million people enjoyed the spectacle, the popular adaptation of the hit film of the same name will be directed by Nigel Harman who starred as Lord Farquaad in the west end production, winning him the 2012 Laurence Olivier Award for Best Performance in a Supporting Role in a Musical. The King’s Theatre General Manager, James Haworth said: We are delighted to be hosting the Scottish Premiere of Shrek The Musical on this, its first ever tour. The King’s has been attracting some large scale productions such as Dirty Dancing and Wicked and to host a show of this scale and profile is a huge reflection of the importance theatre producers place on the Glasgow audience. Shrek the Musical opened on Broadway in 2008 before touring to nearly 150 cities in the USA and Canada. It has already delighted audiences around the world and the UK and Ireland tour will be presented by Dreamworks Theatricals, Neal Street Productions, Playful Productions, Lee Menzies, Ron Kastner, Robert G Bartner, Mark Cartwright, Gavin Kalin, Peter Clayton and Adam Blanshay.